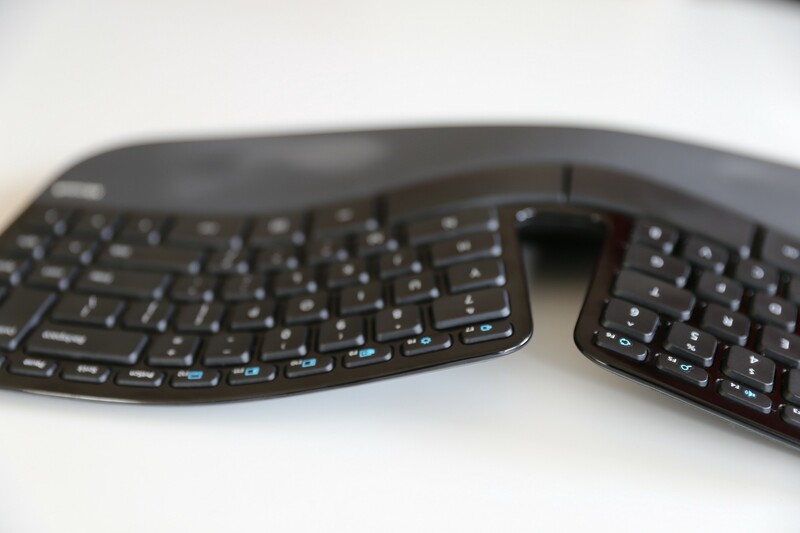 Ergonomic Keyboard: Is it worth it? In the past years, people started looking after themselves more. Nowadays being healthy is trendy, to say the least. And don’t get me wrong — that’s not a bad thing. But every trend brings a trail of people and companies trying to make money on it, while it’s hot. Again — this is not necessarily bad. Some really do their best and offer great products and services, while others are trying to make as much hype as possible, providing goods with disputable effectiveness. As you’ve already guessed, I want to talk about ergonomic keyboards. We see a lot of those on the market — ergonomic keyboard here, ergonomic keyboard here. They are said to lessen muscle strain or even reduce the risk of carpal tunnel syndrome and to be more comfortable to use. Is anything of this true? Or all of this is just a marketing trick to con you into buying an overpriced keyboard? Let’s try and figure this out. Let’s start with the most obvious one — ergonomic keyboards are overpriced. Just put an “ergonomic” in front of your keyboard’s name and you can easily add $50 to its price. Or even $150. Sometimes they don’t even look that much different to normal ones. For this kind of money they should not only be simply better than simple keyboards but provide real benefits to you. But how can you know if those benefits aren’t just hype, promoted by their manufacturers but a well-known scientific fact? What is actually an ergonomic keyboard? The first bell that should get you alerted is that there is no consistent description or meaning for what “ergonomic keyboard” should be. Well, yes, they all mostly claim that they reduce muscle strain and reduce the risk or carpal-tunnel syndrome, but… there are so many types and designs. How can they all do the same thing if they are so different? But the fun fact is, they are not different enough. People are all different, and it would be a crime to say that what’s good for me will be good for my colleague. What I’m saying is, to reduce the risk or carpal tunnel, to lessen muscle strain and so on — each person should do what’s best for them. There are general pieces of advice, but, unfortunately, no universal remedy that would fit everyone. Okay, this may be a bit subjective, but let’s look at it — when you’re typing on a ‘simple’ keyboard (if you’re not typing with one finger with a speed of 10 wpm), your brain constantly makes assumptions and calculations about which hand and which finger to use for pressing the next key. For example, you may press Y with your left index finger in some situations, while in others you may do the same with your right index finger. Your brain finds the optimal way for you — typing faster with less effort. Wait, what? Aren’t they supposed to? Isn’t this their main selling point? Yes, it is. Lessen your muscle strain and help reduce the chance or help you recover from typing-related injury. But the fact is, that there is no clear evidence to support that claim. On the contrary, there are narrow research results that, in best case scenario, prove that “ergonomic” keyboards don’t influence your health at all, and in the worst-case scenario — that they can actually cause injuries. Think for yourself — when using an ergonomic keyboard, you are forced to hold your elbows at a wide angle. And this position is not natural and in some cases can lead to injury due to constant elbow fatigue (that you may not notice at first). All in all, there are very few studies, conducted by unbiased persons and the results are mostly inconclusive. Some say that generally, people feel more comfortable after using an ergonomic keyboard for long periods of time, others say that it doesn’t affect people at all. As for the health influence — there are no conclusive results. Yes, there are studies, conducted by such keyboards’ manufacturer — but, as you understand, they may not be the most reliable thing. I’m not saying that “ergonomic” keyboards are the universal evil, but the hype and marketing may be going too far. They won’t magically heal you. But they may be more comfortable to use if you manage to find the one that suits you.